PSL 2019 Final, Peshawar Zalmi vs Quetta Gladiators: Gladiators battle Peshawar in summit clash. PSL 2019 Final, Peshawar Zalmi vs Quetta Gladiators: It was a repeat of 2017 Pakistan Super League final, but this time Quetta Gladiators beat Peshawar Zalmi to win the summit clash of PSL 2019 on Sunday. The Gladiators won its first PSL title with a thumping eight-wicket victory over 2017 champions. Batting first Peshawar, playing in its third straight PSL final, were restricted to 138/8. In reply, the Gladiators chased down the target with two overs to spare. Ahmed Shehzad (58 off 51 balls) led from the front as Quetta reached 139/2 in 17.5 overs. 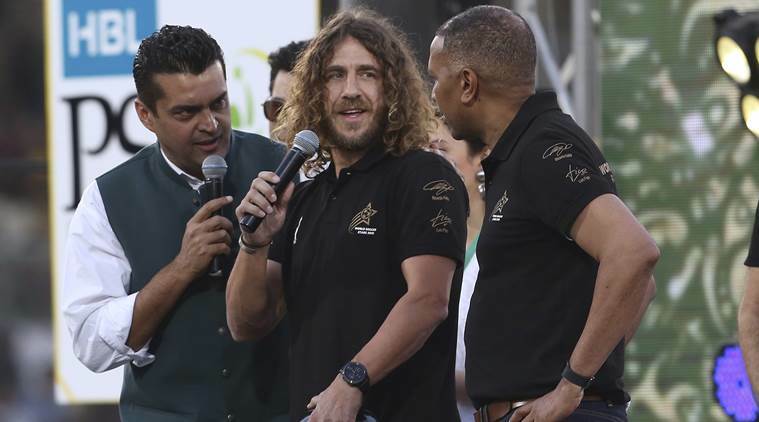 Former Spain footballer Carles Puyol was among the 32,000 fans at the National Stadium. A single, Rossouw hits the winning runs and Quetta Gladiators have won the match. They have reached the target with 2 overs to spare and win PSL 2019. This is the first time Sarfraz and his team have won the PSL. The entire team runs onto the field and wild celebrations. Ahmed Shehzad remains unbeaten on 59- a match-winning innings. Rossouw flicks one away off Jordan past the mid-wicket boundary and wih that the 100 comes up in the 13th over. A wicket of the last ball as Sammy goes for the big hit but is holed out at long-on. Bravo celebrates again, his second of the evening. Thoroughly professional and disciplined bowling performance by Gladiators. Young Hasnain being the star of the show with figures of 30/3 in 4 ovs. So Gladiators need 139 to win the PSL 2019. This is the second dropped chance of the innings. Sarfraz isn't happy behinds the stumps. "We'll bowl first. We've seen in the games so far, that the pitches have had a bit of spice. Want to congratulate the people who have come to the ground. Tells everyone that Pakistan loves cricket." "Anything above 180 will be a good score. With that said, we need to play our best cricket today. We've lost to them three times in this season, but maybe we can give our best performance in the final. Look, in the finals, runs on the board will always put pressure on the teams chasing. We have Pollard and myself to finish the innings, so we hope to maximise our batting." Quetta Gladiators win the toss and will bowl first. It's about 27 degrees. Jonty Rhodes says it is a fantastic wicket for white-ball cricket. It's not a fresh strip, it's slightly rough and a bit dry, and while there'll be nice carry for the pacers. There should be some grip for the slower bowlers. Hello and welcome to our live blog of the PSL final. 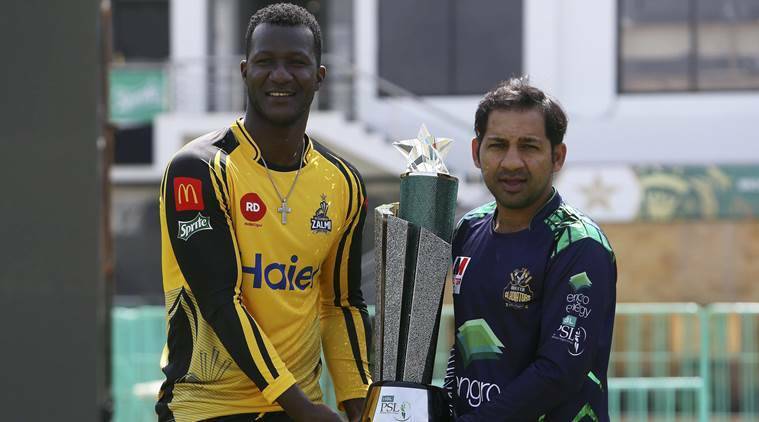 In a repeat of the 2017 Pakistan Super League final, Quetta Gladiators will lock horns with Peshawar Zalmi in the PSL 2019 summit clash on Sunday.